when after fair uses their internal storage fills up. Even it is hard to find a phone which comes with Dual Sim and SD card together. So today, most of the phones users are facing these problems who do have hybrid sim slot devices and they want to use Dual sim card along with microSD card but they unable to do it. What if you can use both Dual Sim + microSD card on your existing Hybrid Slot Devices. So we have found a solution for this, and from now you did not to worry anymore. Now you can use Dual Sim and SD card at the same time in the hybrid sim slot and all you need to do is to buy Hybrid SIM Adapter. And we can say this is a hybrid sim slot trick. Let’s Read more how we can do it. 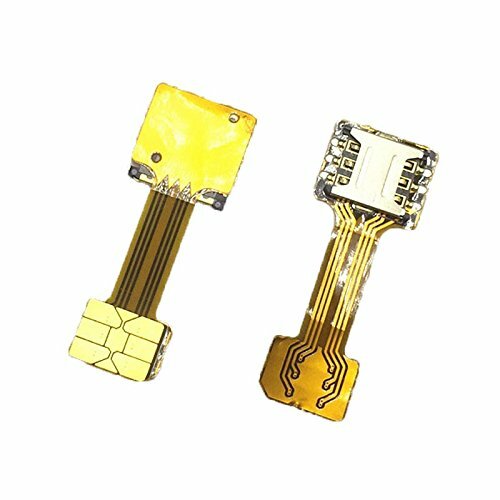 By the use of “Hybrid SIM Adapter”, you will be able to use Dual Sim and SD card within all those handsets which come with hybrid sim slot. 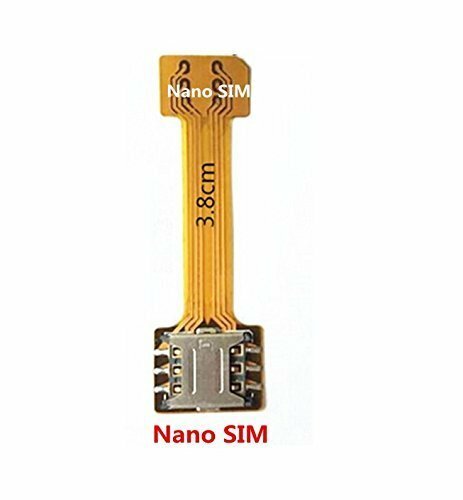 Physically, the hybrid sim slot adapter is very thin and it comes with three model and those are nano to nano, nano to normal and nano to micro, depending upon the size of the sim. The adapter shown in the figure has a SIM slot where you will insert the second sim. So now let’s setup this Hybrid sim slot adapter into the hybrid sim slot. First of all, pull out the sim tray from your mobile. After you eject the Sim tray, you will notice that at first place you can either put microSD card or a sim. So at this place, you need to pay attention & have to do all the work. Put the microSD on that place (first place). Now, you have to put the adapter’s Sim side over the micro sd card. Remember that gold plated face of the adapter sim must face above. Now push the card adapter inside your device. The proper adjustment of the adapter inside the sim tray may take time but it is simple. 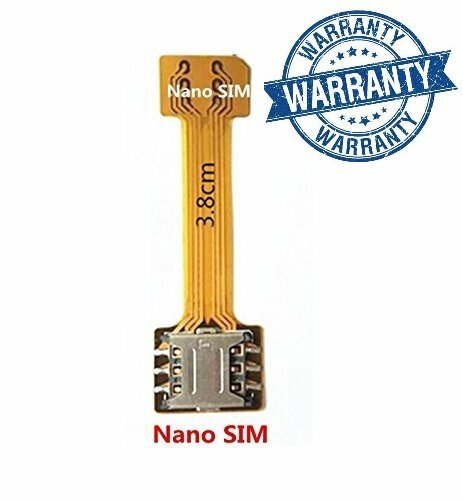 If you successfully close the sim tray, then put the second sim (nano sim) in the sim card adapter or hybrid sim adapter. Now enjoy the new feature of Dual sim + microSD card. One more thing you have to do and that is you have to attach the strip of the adapter by cello tape at the back panel of your smartphone. And by doing this, your mobile may look odd but if you buy any flexible silicon back cover then it might look good with a little bump at the back side. You can buy the Hybrid sim slot adapter online in India on the Amazon. On Flipkart, such adapter is not available. We have also attached a useful video from Gogi tech that will guide you step by step. Still, any Doubt so feels free to ask via comment. We hope you would find our post helpful, either Yes or No, share your thought in the comment box as we love your comment. Subscribe to our page, to get the Best advices, & Latest News about Gadgets & Technology. Also, If we have missed a favorite resource of yours, please add it below in the comments. We love looking up new avenues of inspiration from you. Thanks for reading. Also, Don’t forget to share this topic on social networking site because this might be helpful to other. Mine is a bsnl kerala sim. I’ve been using a dual sim adapter for more than a month now. Suddenly, my second sim (bsnl Kerala sim) is not readable. But when I restart my phone I can then see the sim being registered. Do you know why this is happening? 2- Dual sim adapter is not inserted properly. 3- Poor quality of the Dual Sim adapter.